Turn your woodworking and do-it-yourself skills loose making great-looking outdoor furniture and structures that dress up your yard and garden. Step-by-step instructions guide readers through the construction of each piece. Articles on using the right woods, hardware, and finishes ensure that your outdoor furniture and backyard structures hold up under the weather and look good for years to come. 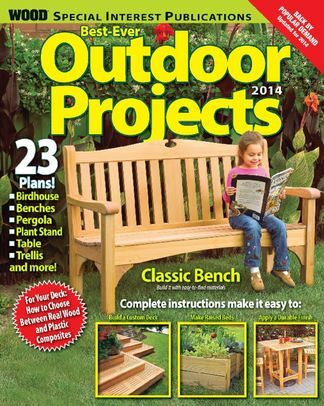 Be the first person to tell us what you think about Outdoor Projects and you'll save $5 on your next purchase!